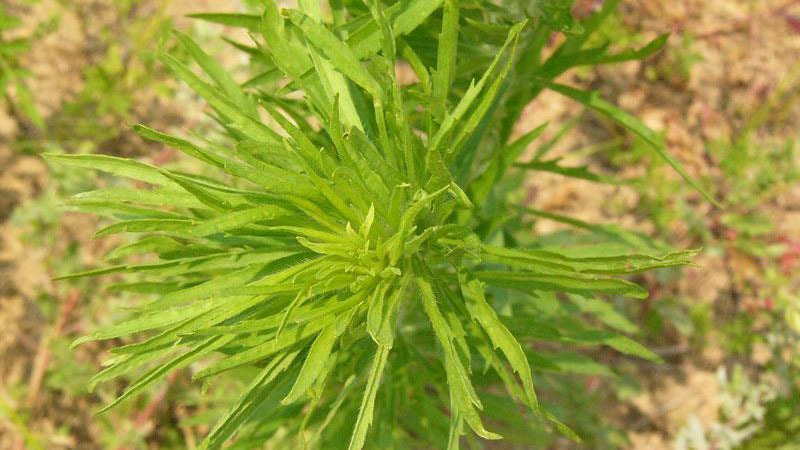 Horseweed is a winter or summer annual found in waste areas, roadsides and turf. 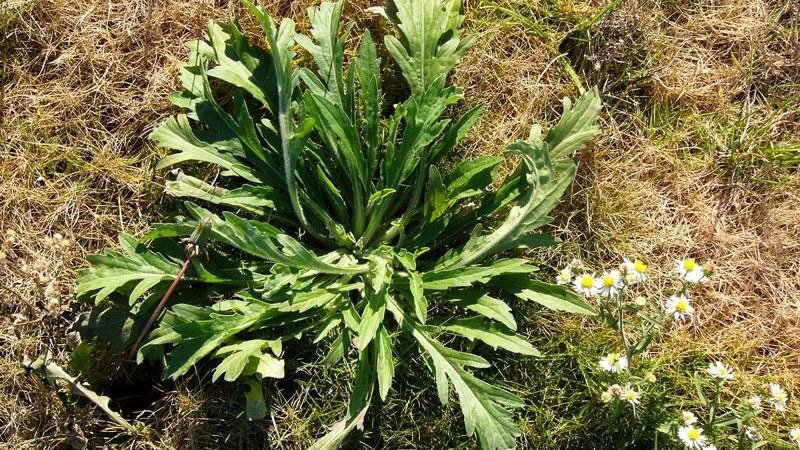 It can vary greatly in height according to the soil it grows in, and the immature rosette looks much different than the mature plant. The erect stem is usually hairy, and is generally branched near the top with small inconspicuous white flowers. The lower leaves are 1 - 4 inches long and toothed, while those scattered along the stem are narrow and smooth. From June to November the plant produces numerous heads of small, inconspicuous white flowers, followed by an abundance of seed. Proper turf management is important for biennial broadleaf weed control. Maintain a dense, actively growing turf through proper mowing, fertilizing, and watering practices. Mow at the proper height for your selected adapted turfgrass. Coring and traffic control reduce compaction and encourage desirable turfgrass competition. It is best to control this biennial broadleaf weed in spring or fall, if actively growing at these times. Figure 1. 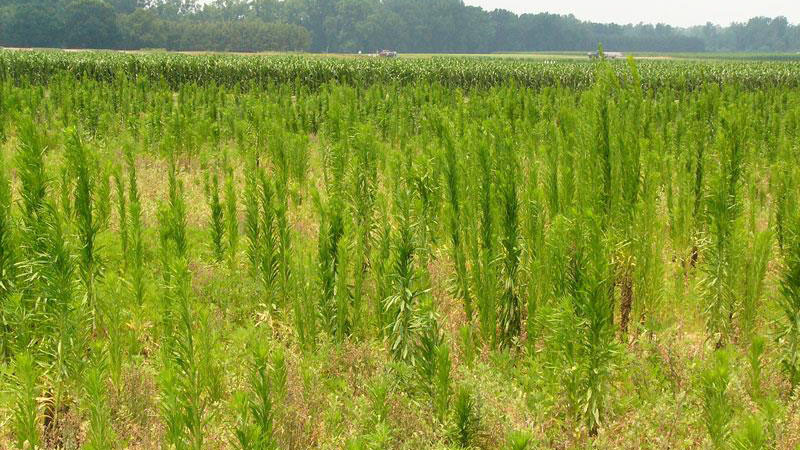 Horseweed growth habit. Figure 2. Horseweed growth habit. Figure 3. 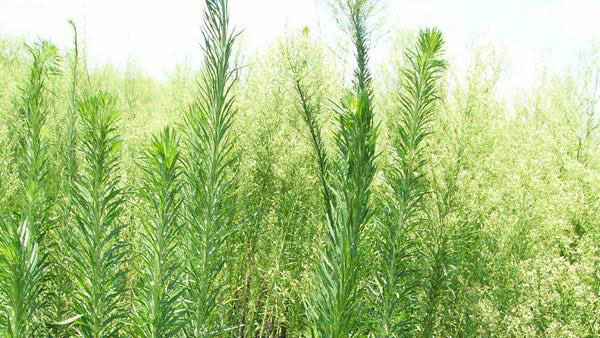 Horseweed growth habit. Figure 4. 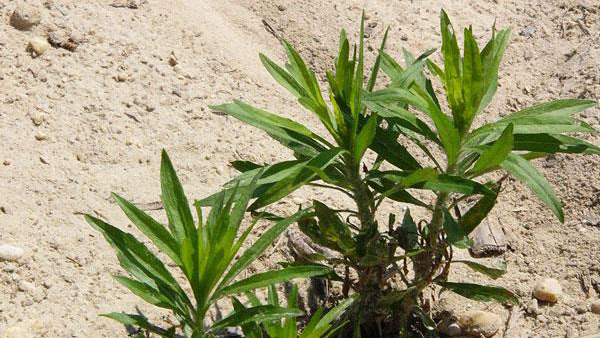 Horseweed growth habit. Figure 5. Horseweed growth habit.